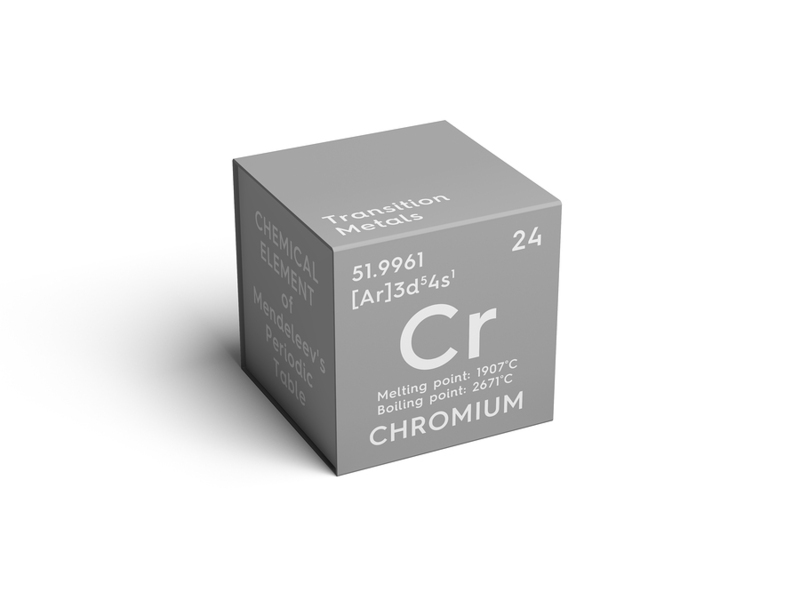 Chromium. Transition metals. Chemical Element of Mendeleev’s Periodic Table. Chromium in square cube creative concept. 3D illustration.